Amy Helms, MS, RD, LD is currently completing the Masters of Social Work program at the University of South Carolina. Previously she worked as a dietitian specializing in the treatment of eating disorders both at an inpatient treatment center in South Carolina and at the Medical College of Georgia. Amy has dedicated her career to counseling, supervising, and teaching in the field of nutrition, body image, intuitive eating, eating disorders, and food allergies. She practices within the Intuitive Eating and Health at Every Size® principles. She earned her Bachelor's Degree in Nutrition Science from the University of Tennessee, Knoxville and her Master's Degree in Clinical Nutrition from Rush University in Chicago, Illinois. 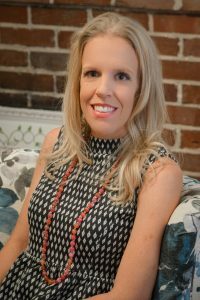 She has served as a preceptor and adjunct lecturer with the Augusta Area Dietetic Internship, College of Nursing, and the Medical College of Georgia. Amy began her career working as a nutrition support dietitian in a large teaching hospital. Additionally, she has worked with individuals with eating disorders in a large treatment facility. She discovered her true passion is working with clients in a private practice setting. Amy believes in the power of human connection and self-compassion to foster growth and powerful transformation. Amy has been invited to and given several presentations to a variety of professional organizations including the Academy of Nutrition and Dietetics, the Neurology Association, the Association of Enteral and Parenteral Nutrition, Georgia Psychology Association, Licensed Professional Counselors of Georgia, National Association of Social Workers, and the National Eating Disorders Association. I believe in empowering each client to live life to the fullest. Life is a Journey- you do not have to go through it alone. New Hope Counseling and Wellness Center, LLC offers nutrition and psychotherapy (coming soon). Our goal is to work with you to be the person you want to be. Amy Helms | Dietitian's blogs.